1. 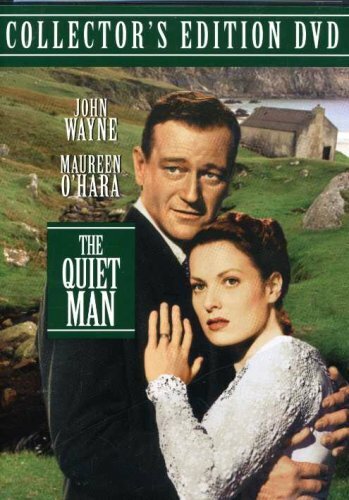 The Quiet Man. An American prizefighter returns to Ireland in order to forget the past and live peacefully in his village birthplace. He falls in love with the hot-tempered sister of a belligerent neighbor, and trouble ensues over the payment of her dowry. 2. My Left Foot. Born with cerebral palsy, the 10th of 22 children of a Dublin bricklayer and his wife, Christy Brown was doomed to life as a vegetable by physicians in 1932. His strong-willed mother’s love and faith encouraged him to overcome this label. An astounding story of an artist who defeated a physical disability, degrading stereotypes, and poverty to fulfill his dreams. 3. 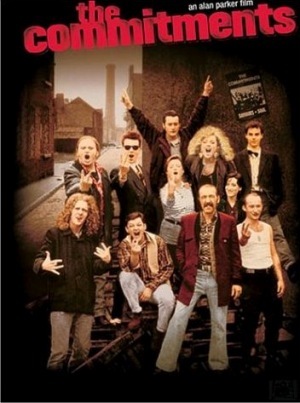 The Commitments. Fueled by raw talent and driven by dreams of glory, a dozen dead-enders from Dublin’s gritty North side share a passion for soul music that takes their band on a wild roller-coaster ride from the streets to the stage. 4. Michael Collins. The life of an Irish man whose dreams inspired hope, whose words ignited passion, and whose courage forged a nation’s destiny. His powerful gifts sparked the fierce battles that led to the Irish Republic that exists today, but his unshaken confidence in those gifts led him to become a victim of the very men he inspired to fight by his side. 5. Leap Year. When Anna’s four-year anniversary to her boyfriend passes without an engagement ring, she decides to take matters into her own hands. Inspired by an Irish tradition that allows women to propose to men on Leap Day, Anna follows Jeremy to Dublin to propose to him. But after landing on the wrong side of Ireland, she must enlist the help of Declan, a handsome and carefree local man, to get her across the country. 6. In the Name of the Father. Fact-based film about Gerry Conlon, a young Irish punk who is caught in the wrong place at the wrong time and forced to confess to a terrorist bombing. He and his father, along with friends of Gerry, are found guilty and sentenced to life in prison. There, his father shows his true strength, and Gerry works to prove their innocence and clear his father’s name. 7. Albert Nobbs. A woman (Glenn Close) passes as a man in order to work and survive in 19th century Ireland. Some thirty years after donning men’s clothing, she finds herself trapped in a prison of her own making. 8. The Crying Game. A 1992 film about a man’s experiences as a member of the IRA, his brief but meaningful encounter with a British prisoner of the group, and his unexpected romantic relationship with the prisoner’s girlfriend, whom he promised he would protect. 9. The Wind That Shakes the Barley. Set during the Irish War of Independence (1919–1922) and the Irish Civil War (1922–1923), this drama tells the fictional story of two County Cork brothers who join the Irish Republican Army to fight for Irish independence from the United Kingdom. It takes its title from the Robert Dwyer Joyce song “The Wind That Shakes the Barley”, a song set during the 1798 rebellion in Ireland and featured early in the film. 10. The Secret of Roan Inish. In this 1994 family film, a young Irish girl longs for the good old days she often hears about, back when the family lived on Roan Inish and had plenty to eat, and back before her younger brother so mysteriously disappeared. 11. Once. A modern-day musical set on the streets of Dublin, this film tells the story of an Irish street musician and a Czech immigrant during an eventful week as they write, rehearse and record songs that reveal their unique love story.